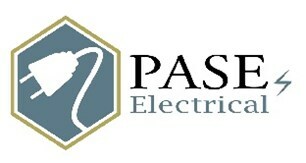 PASE Electrical Ltd - Electrician based in Sutton-on-Hull, North Humberside. We are PASE Electrical, Fully Qualified NIC-EIC Electricians with over 15+ Years experience as a team - Hull, East Yorkshire. All Electrical Services to Domestic & Commercial Customers/Clients. We have built up a reputation of good standard of work and good punctuality, we aim to be very reliable as this is mostly important to us and our customers, we aim to serve our clients with honesty and all works are to BS7671 Regulations & NIC-EIC Standards. Board Changes, Outside Lighting, Kitchen Installs, Extensions, All LED Lighting Upgrade, Office Refurbs, New Supplys, CCTV, Alarm Systems, Shower Installations, Heating Installations, Fault Finding, Electrical Certification, Garage/Summer House Installations, Hot Tubs. Hull - East Yorkshire & Surrounding Areas.